This species of char has a background color of gray-brown, overlaid with light spots that vary in intensity with age and environment. The background color covers the back, sides, and fins and serves to highlight the lighter gray spots. 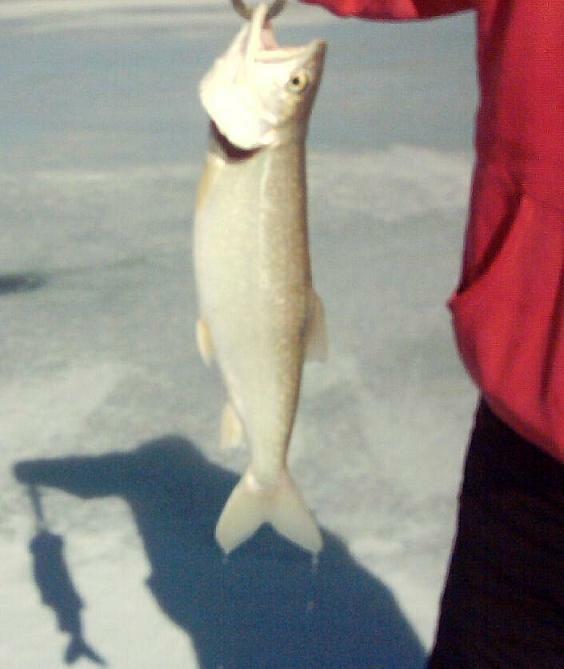 Lake trout in large lakes are sometimes so silvery that the spots are difficult to see. Spotting is usually more intense on small fish. The caudal fin is deeply forked. The mouth is large and terminal with strong teeth on both jaws. They are present in Fish Lake, Bear Lake, and Flaming Gorge Reservoir. If you really want to get the very best experience fishing for Lake Trout at Flaming Gorge, you really need to contact Capt. Jim Williams. He is the best guide out there and has great service. Click here to visit his website, www.fishflaminggorge.com. Click here for the latest exclusive Capt. 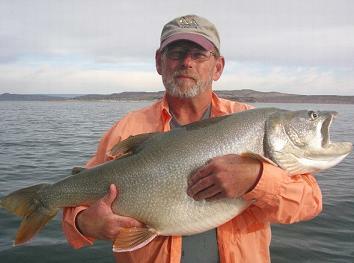 Jim's Creative Fishing Adventures Flaming Gorge Lake Trout fishing report.